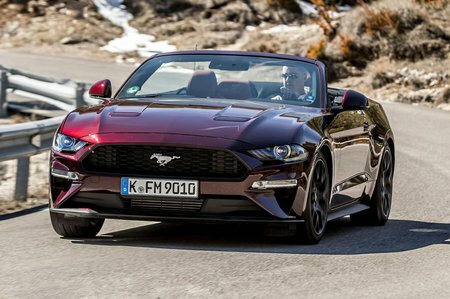 Ford Mustang Convertible Review 2019 | What Car? Yes, that is a Ford Mustang and, yes, it does have a steering wheel on the correct side of the car. Interested? We thought you might be. Like the fastback version, you get a choice of two engines: a relatively mild-mannered 2.3-litre four-cylinder unit with ‘only’ 288bhp or the full-fat-with-bacon-on-top V8 with a super-sized 444bhp. 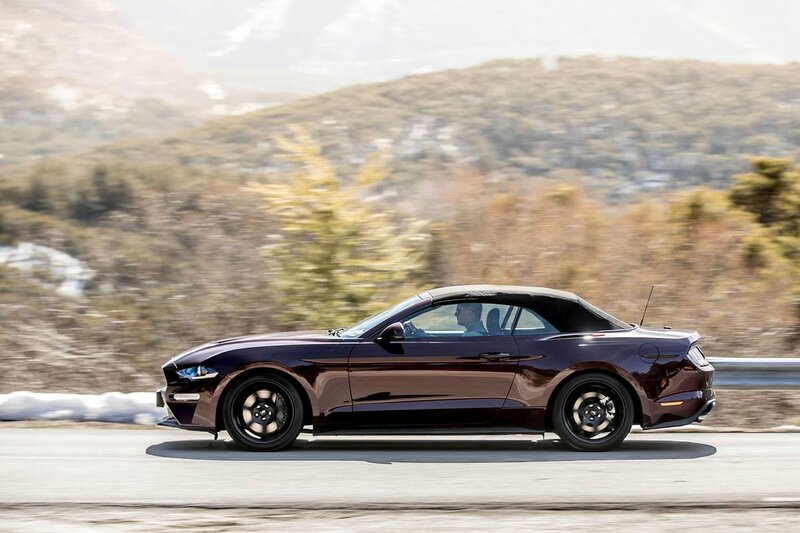 Despite costing around the same as a basic Audi A5 Cabriolet or a well-specced BMW 2 Series Convertible, the Mustang Convertible is a big car that comes stacked to the canvas with standard equipment. You even get a pair of rear seats that make it semi-practical. If that sounds like your cup of Joe, then click through the next few pages to see how it drives, what the interior is like and how kind it is to your wallet. If you’re already desperate to pony up (sorry), then check out our new car deals, where you might find some giant savings.